Pi Music Player pro is a stunning Music Player, beautifully crafted with Material Design packed with some extraordinary powerful features. Pi Music is one of the Best Music Players which can fulfill all your Musical needs. The more attractive and intuitive User Interface combined with the crisp and clean layouts will give you the best user experience. Ringtone Cutter to precisely cut any mp3 file. Enhanced Folder view of all music files. 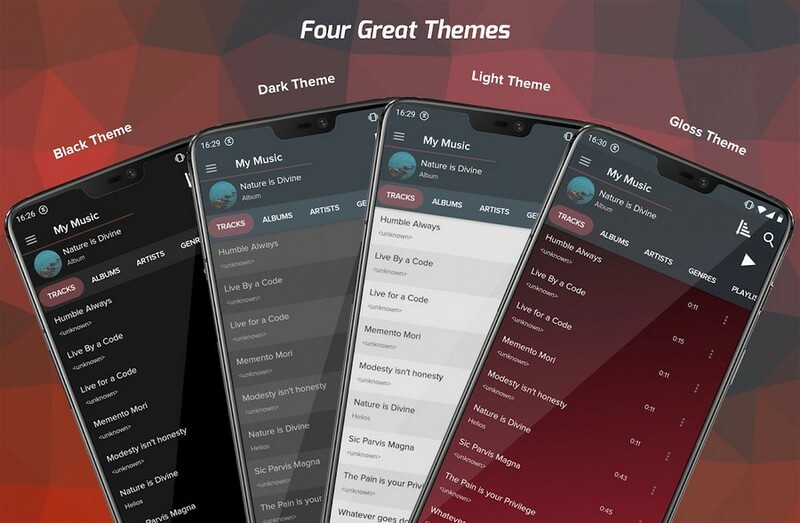 Four great themes - Gloss Theme, Light Theme , Dark Theme and Black Theme .